Come experience Statement's new 2014 center console lineup firsthand at the 2014 Miami International Boat Show, February 13-17th. Statement will be located at show's in-water location at the Sea Isle Marina, 1635 N Bayshore Drive on Biscayne Bay in downtown Miami. You'll find us in slips 113, 206, and 208. Benefits of our new in-water location include easier access and parking without the hassle of South Beach traffic, and of course, the ability to sea trial boats instead of just looking at them on land. 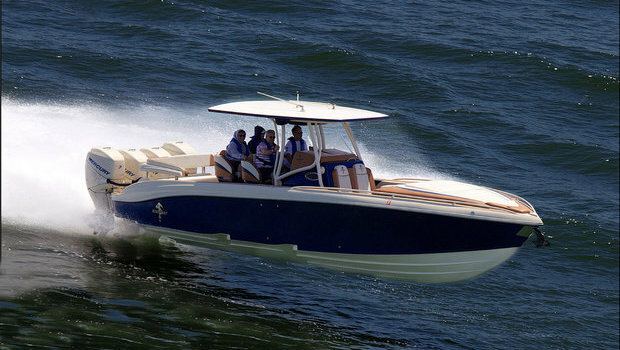 We'll have four boats available for sea trial. Interested customers as well as dealers are welcome to meet with Statement's factory staff and experience the Statement difference firsthand. All Statement models are now CE certified and available for delivery worldwide. For more information contact Craig Barrie at Statement Marine: 954-614-2591 or cnbarrie@gmail.com.